Like many projects, this one began with a simple assignment. I was working the morning shift last January for another photographer when I headed out to a recovery house with city reporter Mark Walters. We sat down and talked with the man who owned and managed the house, which serves as a temporary home for recovering addicts, for at least an hour. We were introduced to a friendly resident who was instructed by the recovery house owner to talk to us, but “tell [us] the truth.” I never took my camera out of my bag. When we left, I knew this was not just a one-off assignment and that this story — about how addiction recovery houses, sometimes called “sober homes,” are unregulated and flourishing in the city of York — was much bigger than we could know. I told Mark I wanted to own this project with him. For a large chunk of the next three months, we pounded the pavement to investigate how and why York, a city of 5.25 square miles, became host to 81 recovery houses where addicts stay sober and gain control over their lives. We knocked on countless doors to talk to managers and residents, got turned away by some and were cautiously welcomed inside by others. Every day of reporting brought a new twist that would either slow us down or help us propel forward in learning more about the stakeholders in this thriving, essentially underground community. Special thanks to Jeff for his support as the project took over my weekends last winter, to Mark for letting me co-pilot, to my editors and coworkers for allowing me so much time on this and to the nearly 20 recovering addicts who trusted us, shared their stories and permitted us to show their faces. You can read Mark’s articles here and here, and view a complete photo gallery here. © 2016 by The York Daily Record/Sunday News. Dave Dunkel, owner of Sees-the-Day, center, shares a cigarette break with, from left, Zachary Moser, 21, of Montgomery County, Pa.; Nathan Embry, 27, of Lancaster; and Roman Fissel, 22, of Manchester Township, all of whom live in a Sees-the-Day recovery house on Linden Avenue, on Wednesday, Feb. 10, 2016. Many recovering addicts are smokers, as cigarettes and nicotine replace the addictions from which they are recovering. York is home to a figuratively underground community of about 80 recovery homes that house drug and alcohol addicts. Many recovering addicts are sent to the houses by York County’s probation department as an alternative to jail or homelessness, while other addicts come to York on referral from other treatment facilities or of their own volition. The houses, which are not designed as treatment programs and which can each house 5-12 recovering addicts, are not subject to state or county regulations . While owners of many recovery houses in York refused comment, other owners said their homes are structured to provide a system of support and accountability by requiring residents to attend 12-step meetings and gain employment, with the ultimate goal of graduating sober after a residency of about six months. © 2016 by The York Daily Record/Sunday News. 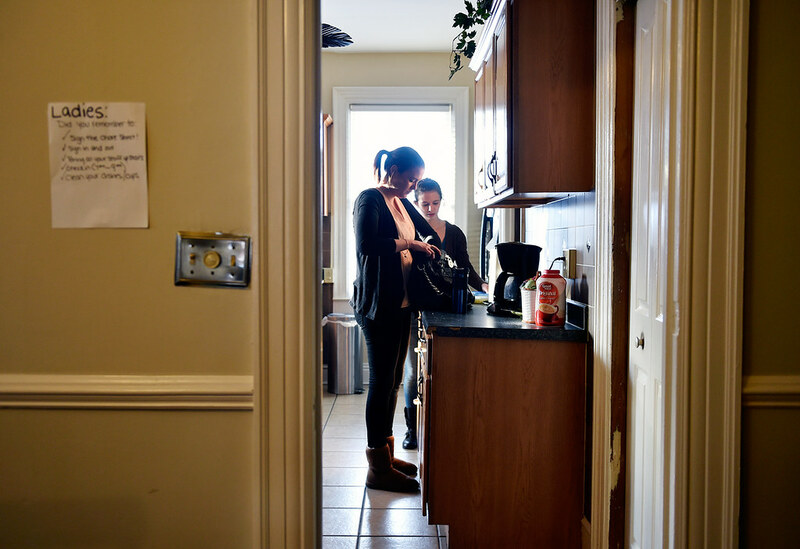 Nicole Anderson, 27, of Fairfax, Va., left, gets ready to go to work as Jenna Weaver, 24, of Carlisle, helps prepare dinner in a Pennsylvania Avenue home operated by Choices Recovery House, on Thursday, Jan. 28, 2016. The home is one of three female recovery houses operated by Choices, which also runs two male houses. © 2016 by The York Daily Record/Sunday News. Kathy Sorandes, center, helps run a “house meeting” at a Pennsylvania Avenue house operated by Choices Recovery House, on Sunday, Jan. 31, 2016. Sorandes owns Choices, which operates eight recovery houses in York. Each of Choices’ houses, as well as others run by other companies, requires residents to attend a weekly house meeting during which chores are assigned, dinner duty is delegated, grievances are aired and encouragement and support are offered. Residents are also often required to show signed sheets indicating they have been attending daily 12-step meetings. © 2016 by The York Daily Record/Sunday News. 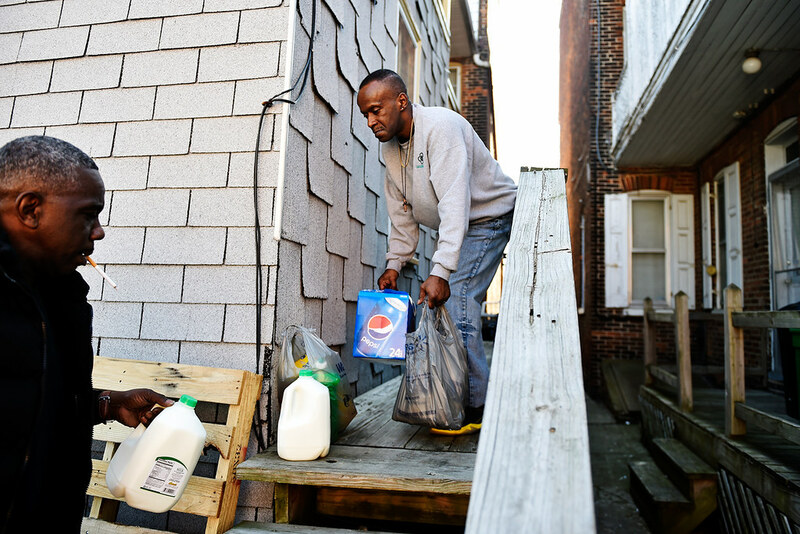 Anthony McClair, 50, brings groceries to the back porch for Will Howard, 54, to carry into the Linden Avenue recovery house where they live and which is operated by Sees-the-Day, on Sunday, Feb. 28, 2016. © 2016 by The York Daily Record/Sunday News. 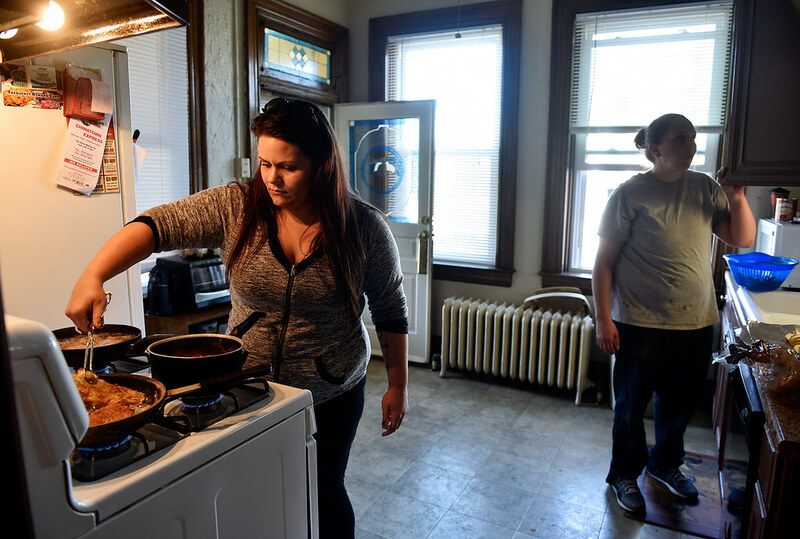 Christina Whelan, 27, of New Jersey, makes chicken parmesan with help from Allison Foust, 36, of Havre de Grace, Md., at the Pennsylvania Avenue house where they live and which is operated by Choices Recovery House, on Monday, March 7, 2016. Similarly to many other York recovery houses, residents at Choices are largely responsible for their own meals except for several weekly communal dinners. © 2016 by The York Daily Record/Sunday News. 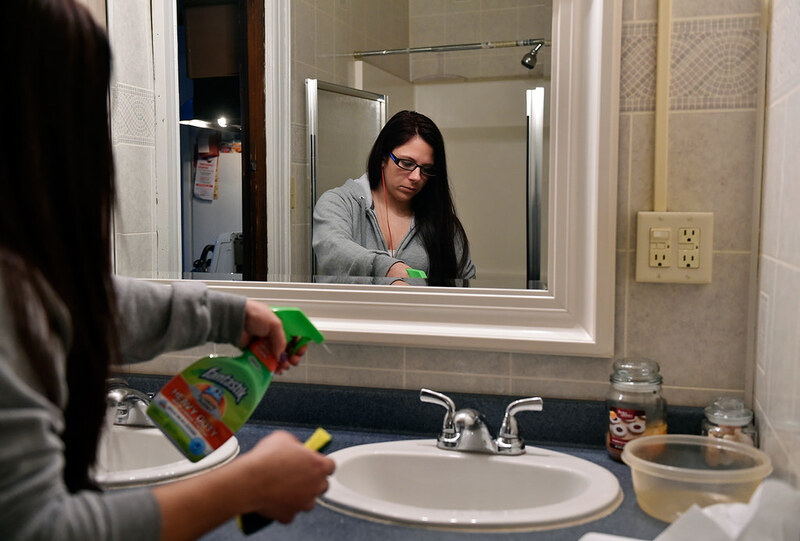 Kailyn Brown, 24, of York Township, cleans the downstairs bathroom of a Pennsylvania Avenue home operated by Choices Recovery House on Wednesday, Feb. 3, 2016. © 2016 by The York Daily Record/Sunday News. 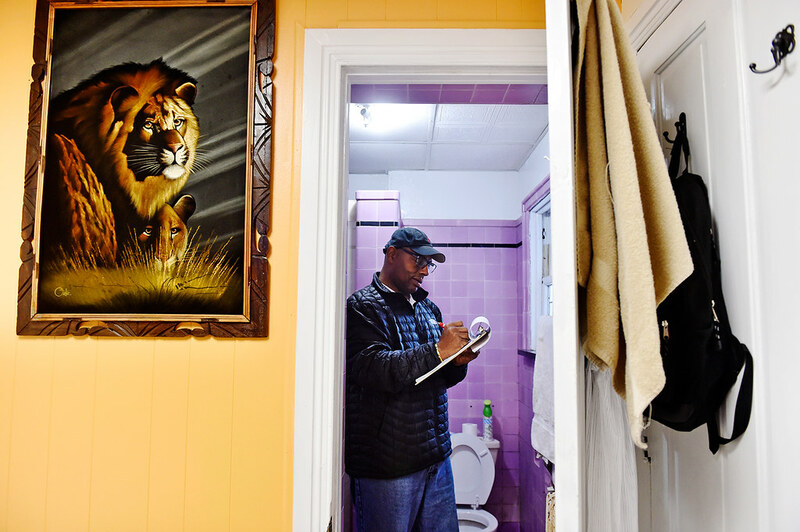 Fred Way, executive director of the Pennsylvania Alliance of Recovery Residences (PARR), ticks off a checklist while inspecting a resident’s bathroom in a West Market Street recovery house operated by Safe Haven Transitional Living on Wednesday, Feb. 3, 2016. Way founded PARR in Jan. 2011 as a nonprofit that inspects and certifies qualified recovery houses that seek certification to distinguish themselves from scores of other houses. Each certified house is inspected annually. © 2016 by The York Daily Record/Sunday News. 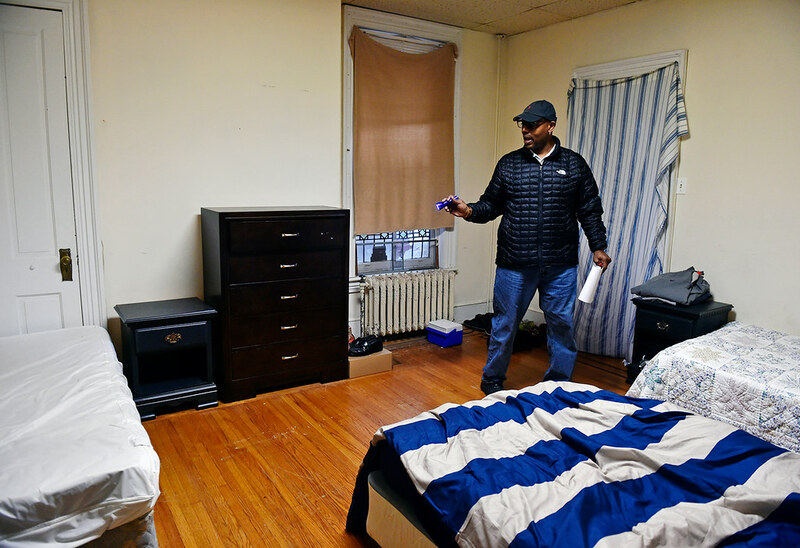 Fred Way, executive director of the Pennsylvania Alliance of Recovery Residences (PARR), uses his flashlight as he inspects a shared bedroom in a West Market Street recovery house operated by Safe Haven Transitional Living on Wednesday, Feb. 3, 2016. Two recovery house companies in York city are certified by PARR, which annually inspects each house as part of the certification process. © 2016 by The York Daily Record/Sunday News. 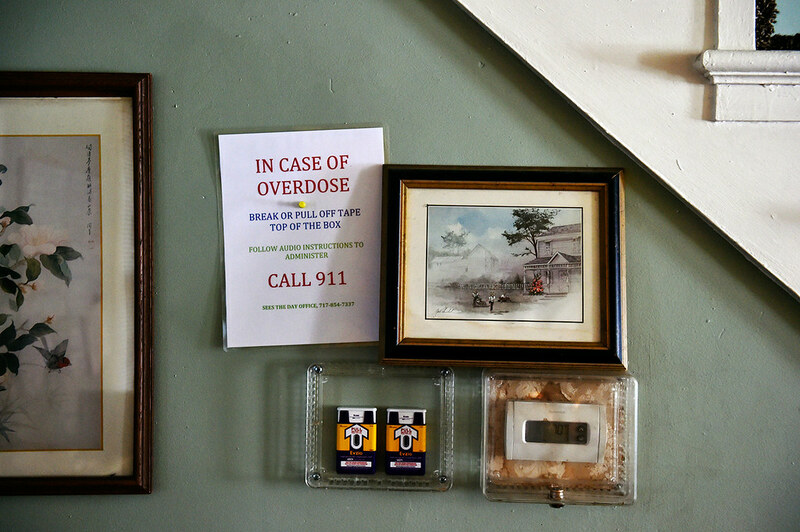 Two doses of naloxone, a drug that effectively reverses an opioid overdose, are encased next to the living room thermostat of a Linden Avenue recovery house operated by Sees-the-Day, as seen Wednesday, Feb. 10, 2016.